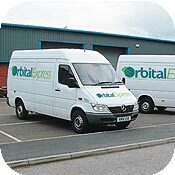 At Orbital Express we have the necessary networks and resources to help customers with a variety of special delivery needs. If you require parcels, documents or other freight items collecting from anywhere in the UK and delivering to you or another destination then we can arrange it quickly, easily and at a competitive price. Complex or irregular deliveries can be handled efficiently and effectively. For example if you require a document collecting from your head office, delivering to one of your satellite branches for a signature or stamp and returning to you then we can help. We can transport high value goods, cheques or other security conscious items safely and securely. 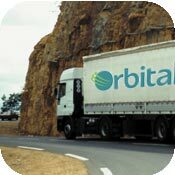 As with all our services, one call to Orbital Express and we do the rest. Once we know the details of the package or parcel that has special delivery needs we’ll determine and organise the most cost effective and efficient delivery solution. Our decision is based on proximity to the client, destination address, required deadline, speciality considerations and, of course, cost. Whichever Orbital Express service you require, our high level of customer service will not change. All UK guaranteed next day parcels are monitored from pick up to delivery. This means that if things don’t quite go as expected contingency plans can be made. For more information about collections, multiple deliveries or secure deliveries please call now on 01924 439977 or complete our online contact form.